This is the latest painting I've completed. 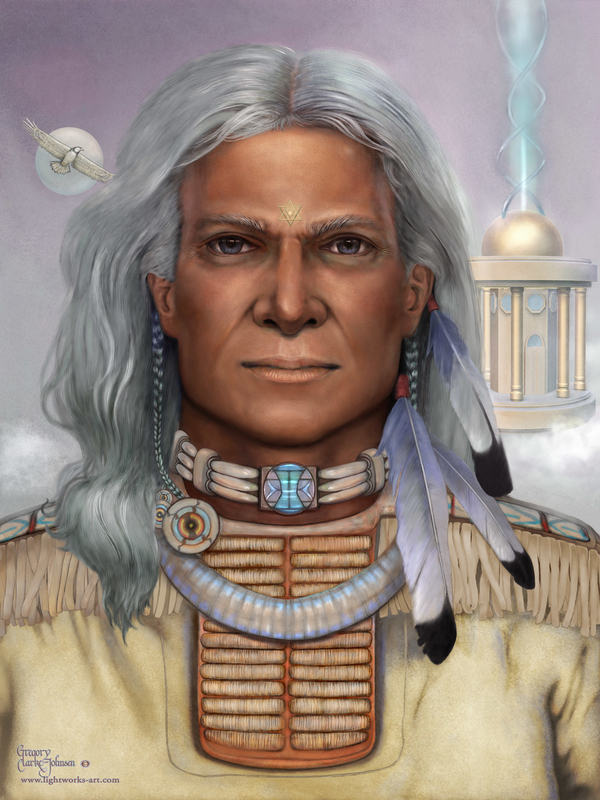 Inspired by a inner vision I had of seeing White Eagle, who I came to realize is an embodiment of the indigenous culture and administrator of natural law for North America. The painting of the man was hand painted in Photoshop while the Temple of Light in the background was created in Zbrush.